Even though The Things We Keep is a fiction novel, there are a lot of truths to it. There are parts that are uplifting and made me smile but for me this was not a cozy “feel good” story. There is a lot of heartbreak but I still thoroughly enjoyed reading this book. I thought that it had a great story line and the characters were developed so beautifully. It was as though Hepworth had spent a lot of time at a nursing home with the residents along with a few of the employees and decided to write a story about them, which maybe she did. I have been simultaneously fascinated and terrified of octopuses (nope, it’s not “octopi” as most of us might have thought) for years. Montgomery’s book, The Soul of an Octopus, was one I had to resist hoarding after we purchased it for our library collection. I finally made the time to read it and, if anything, I’m more intrigued than I was before I started. Montgomery did an amazing job recounting her experiences with these incredibly intelligent creatures. The more time she spent with them the more she wanted to learn about them. She had amazing access to a few select octopuses thanks to connections she made at the New England Aquarium and it was fascinating to hear about how the animals interacted with her and how clearly their personalities came across. There was an excellent bibliography at the end that I will certainly be referencing in the near future. If you have an interest in octopuses you’ll enjoy this book. If you simply are an animal-lover or appreciate good non-fiction this would be a good title for you to pick up. This one act play by Harold Pinter is sparse and startling. It drops us into the middle of a disturbing conversation between Devlin and Rebecca (presumably husband and wife) in the living room of a country home. It begins as an angry interrogation of Rebecca about a former lover. Rebecca describes violently abusive encounters. As Devlin pushes for more information, the conversation takes strange and dark turns. Devlin does not get the answers he wants, and, as a reader, I could feel his frustration as I tried to make sense of Rebecca’s non sequitur responses. The play was published in 1996, and the title page says that the time is “Now.” However, the traumas that Rebecca relives in their conversation begin to sound like the stories of a Holocaust survivor. This brings up all kinds of questions: Is Rebecca sane? Is the mysterious figure she describes real? Is there something more going on here than a recounting of personal history? The play is a strange mix of deeply personal themes and broader themes that appear to speak to the traumas of European history. The play could be performed in under an hour, and it can be read in less. That said, it isn’t an easy read. The drama and tension of the relationship between these two characters is immediately gripping – but trying to figure out just what this drama consists of is far from simple. Marshall McLuhan was the first person to really investigate and theorize about the effects of electronic media like radio and television. This very interesting collection of essays looks at new issues of digital media and culture through the lens of McLuhan’s basic insights about technology. 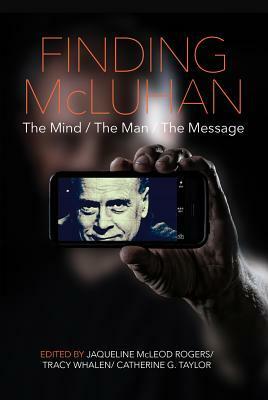 It includes interviews with people who knew McLuhan, including his two sons, as well as an interview with Douglas Coupland, McLuhan’s most recent biographer. I particularly enjoyed the essay by Karen Brown and Mary Pat Fallon, which applies McLuhan’s understanding of media environments to the issue of library space, as well as the essay on McLuhan’s religious thought by David Charles Gore and David Beard. This book is a popular summary of James K. A. Smith’s Cultural Liturgies project (which includes the books Desiring the Kingdom and Imagining the Kingdom). 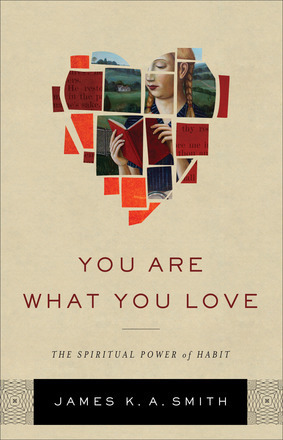 As the subtitle indicates, the book could be viewed as a sort of theological take on Charles Duhigg’s popular The Power of Habit: Why We Do What We Do in Life and Business. The book explores the ways that the Christian liturgical tradition trains and habituates human beings into a particular vision of the good. Smith argues that our loves are ordered and directed by the things that we worship. He shows how liturgies – both secular and religious – train us to love particular things and habituate us to particular social orders. The habits that we learn, either through the liturgies implicit in the shopping and consumption of consumerism or through the traditional liturgies of the Christian tradition, make us who we are. Smith’s work is always peppered with illustrations from films, music, and literature. While I always appreciate this aspect of his books, it is also a bit of a double-edged sword. He often finds just the right literary or cinematic example to make his point come alive. However, there are times when trendier references date the work in unnecessary ways. That quibble aside, Smith’s book is an excellent and accessible summary of his more academic work on the topic. Victoria Dahl is definitely one of my favorite contemporary romance authors (when I’m looking for a romance I typically turn to her work). 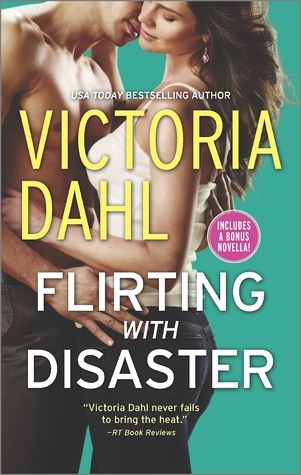 I needed a “light” read and I grabbed Flirting with Disaster from the library – it didn’t disappoint. Isabelle lives in a pretty secluded area of Wyoming. She picked a secluded spot for a reason; she’s effectively been on the run for over a decade having assumed a new identity and keeping a low profile. Her circumstances understandably have kept her from getting too close to too many people, but when Tom, a hot U.S. marshal, comes knocking at her door she finds herself wanting to run while simultaneously being drawn to him. If you’re looking for a good romance novel that has an entertaining story line AND steam, Dahl is definitely an author you should check out. Char Hawthorn is a college professor who gave up teaching when she fell for Bradley, the man of her dreams. She became a devoted wife and loving step-mother to Allie. Since Allie primarily lives with Bradley and Char, she and Char have formed a strong relationship. Char and Allie’s life was suddenly turned upside down when Bradley was killed in a car accident. Char does not have legal rights to Allie but she continues to love and care for her. She is struggling with trying to help Allie cope with her father’s death. Allie has given up soccer, her favorite sport. She has abandoned her closest friend to run around with the wrong crowd. The only thing that she continued to be committed to was tutoring a ten-year-old girl named Morgan whom she has a special bond with. Lindy, Allie’s biological mother, is a self-absorbed woman living in California. The only time she saw Allie was when Allie would travel to see her on short visits. Lindy must now decide if she wants Allie to move back with her for good or allow her to live with Char until she graduates from high school. Char, trying to deal with the heartbreak of losing her husband, must now face the fact that she might lose Allie as well. Julie Lawson Timmer sends the reader on an emotional journey. As with a lot of fiction, there are some far-stretched occurrences in Untethered, but as a whole I thought this book was a good read. She draws together what it means to be a family and in this case, a blended family. The characters work on issues in their relationships and the complexities of parenting. It is a very compelling story that had me in tears.